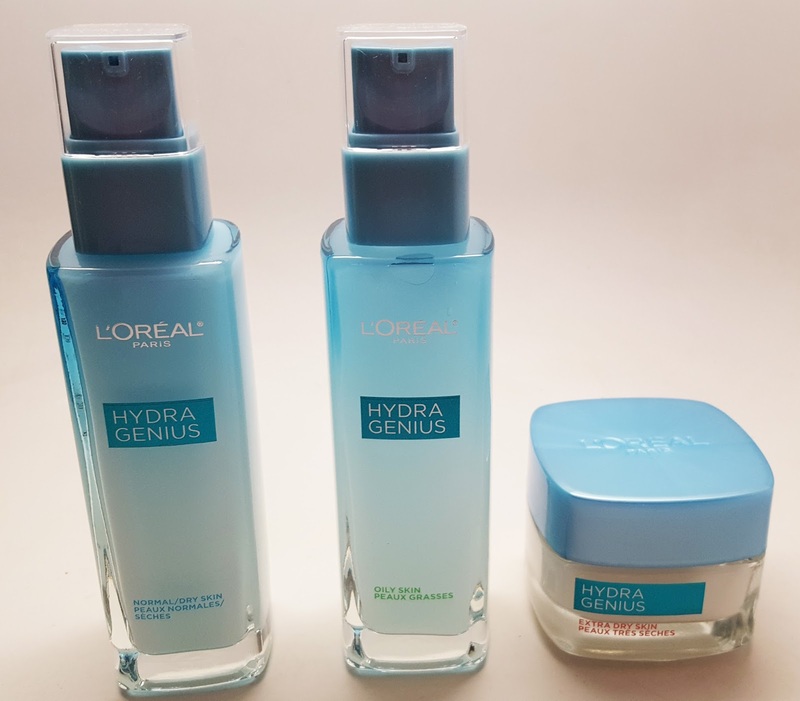 I'm excited to share with you the newest from L'Oreal. Their Hydra Genius collection has three different moisturizers customized for every skin type. 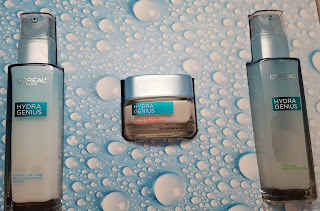 Who doesn't want fresh, water plumped beautiful looking skin everyday? Check it out! Do you want to know the secret to staying young? Moisturizer! Every skin type no matter how oily you think you may be, needs moisturizer. 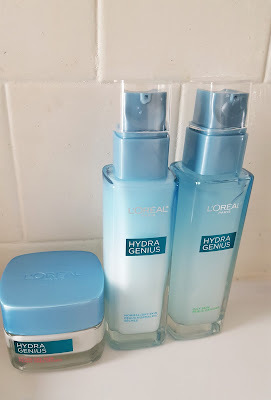 L'Oreal's new Hydra Genius line consists of a lightweight formula known as skin drinks - where the moisturizer breaks into water upon contact with the skin for instant hydration up to 72 hours! This is great for these still chilly nights as we transition into Spring. The formulas are normal/dry, normal/oil and extra dry. I love the extra dry addition! First of all, the packaging is super luxe. These are heavy glass bottles that would look right at home on your bathroom vanity. I love the teal color theme, so beach chic! The normal and oily formulas are both very light weight gel consistencies that come in a squeeze pump container. Normal/Dry Skin gives a glow finish. Normal/Oily Skin gives a matte finish. The extra dry formula comes in a jar and has a thicker consistency. The formula contains Aloe Water and Hyaluronic Acid, one of my favorite ingredients! The Extra Dry Skin moisturizer delivers a comfort finish. I tried all of them and they are very very nice. 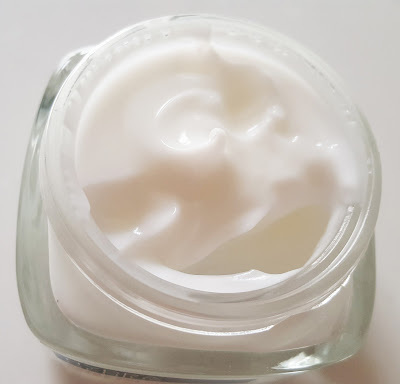 The extra dry moisturizer reminds me a lot of the new Ofra Wanderlush moisturizer which everyone is raving about. These products retail for $17.99 at your local drugstore and skincare aisles. Happy shopping!